1. What is Brassy Hair and How Can I Get Rid of It? Brassy hair is hair that looks yellowish or orange. Basically, hair is "brassy" because it has not been lifted enough - the darker the blonde, the more "brassy" it will look. In the image below, you can see that the hair at level 7/8 is more brassy and more orange than the hair at level 9/10. Image Supplied by Ugly Duckling Stylist Hon G.
2. 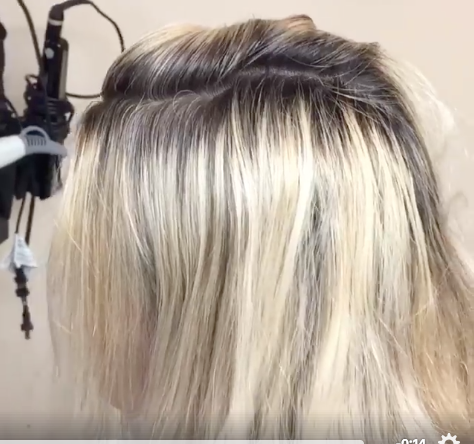 What exactly is causing my client's hair to turn brassy when I bleach or color or lift? Hair has a natural undercoat, or secondary pigment, which becomes visible when you lighten it or even if you stay in the sun for very long. When you lighten hair to a dark brown color, you get a red undercoat or tone. When you lighten hair to a medium brown color, you get an orange undercoat or tone. When you light hair to a blonde hair color, you get a yellow undercoat or tone. This table below illustrates the undercoats which occur at every hair level. These undercoats often represent a challenge for colorists and their customers as generally speaking these undercoats are not very attractive nor desired by clients. 3. What Should I Do to Get Rid of Brassy Hair? Lift the hair correctly and consistently. 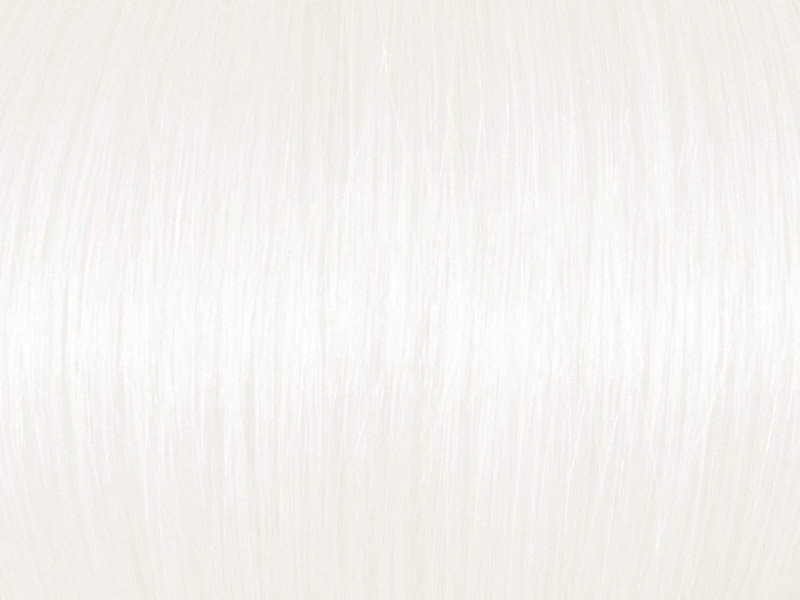 We recommend Brilliant Blonde Lightener, it has been formulated for dark bases and lifts up to 8 levels. Tone with the appropriate choice of toner. We have a choice of 4 toners that produce pearl and silver blonde results. Also blue ash and silver grey colors which are also very popular. Please consult our shop-now page. Finish with Purple Shampoo and Mask. STEP 1. Use A Quality Lightener & Lift the Hair to Level 10. If you have a client with yellowish, orange hair and you are looking to eliminate all her brassiness, you need to take her all the way up to a level 10 (see picture below). If you lift it to a level 10, you will be able to eliminate almost all the secondary pigments that cause brassiness. If you don't lift out all that yellow, the hair will stay brassy even if you put in a lot of ash or ash based toners! Learn More About Brilliant Blonde Here. Toners provide the color neutralization which allow you to get rid of any remaining yellowness and brassiness. If you are looking for a quality ash blonde, platinum blonde, pearl blonde or silver blonde result, you need to use a very good toner. 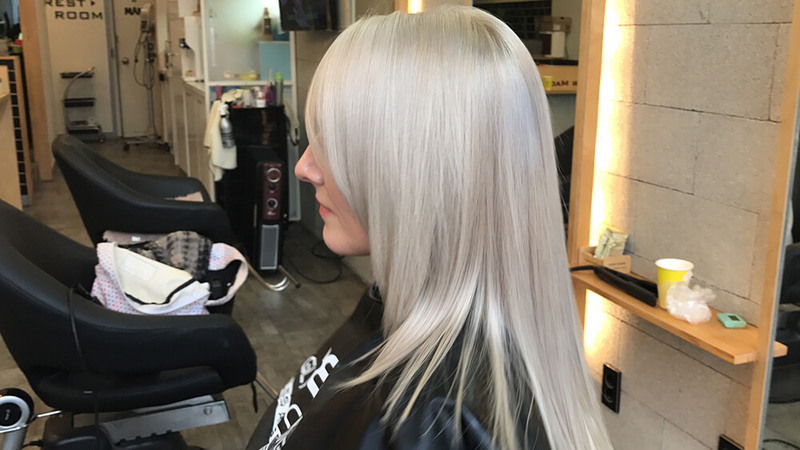 If you have previously lifted your hair and are looking for a lighter, refresh toning application only, tone with No-Lift Pearl Blonde Toner 10V, No-Lift Silver Blonde Toner 10B. These colors are all shown below. The recommended mix is 1 part toner to 2 parts developer. Aim for a good product saturation and leave on for 10-20 minutes. STEP 3. After toning, finish with Purple Shampoo and Mask. 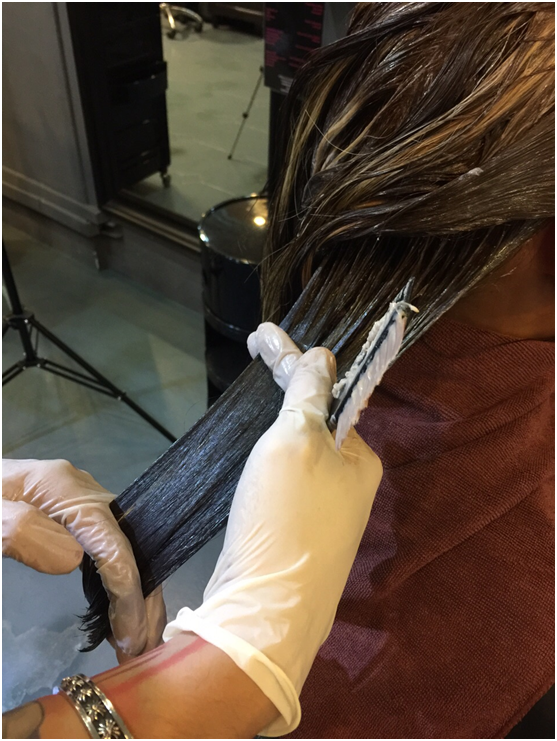 Our purple shampoo and mask are low pH sulfate-free products and will help close the cuticle after coloring as well as tone and condition. They contain intense purple pigments which will neutralize any remaining yellowness or brassiness in the hair. For best results, use plenty of product and massage in very thoroughly. The more these products are in contact with your hair, the more they will transfer those pigments. With the purple mask, leave on for 10 minutes under a plastic cap and, if possible, some gentle heat. 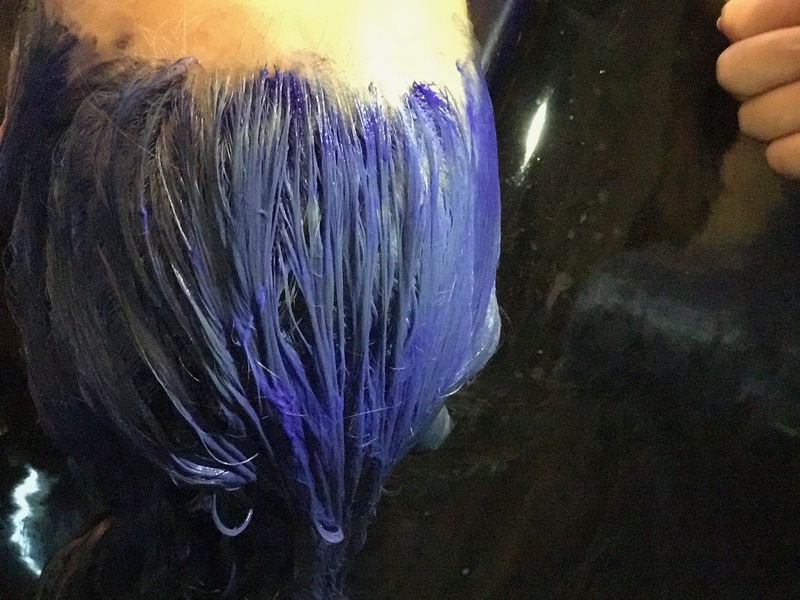 Learn More About Ugly Duckling Purple Shampoo and Mask Here. Is Your Hair Like This? 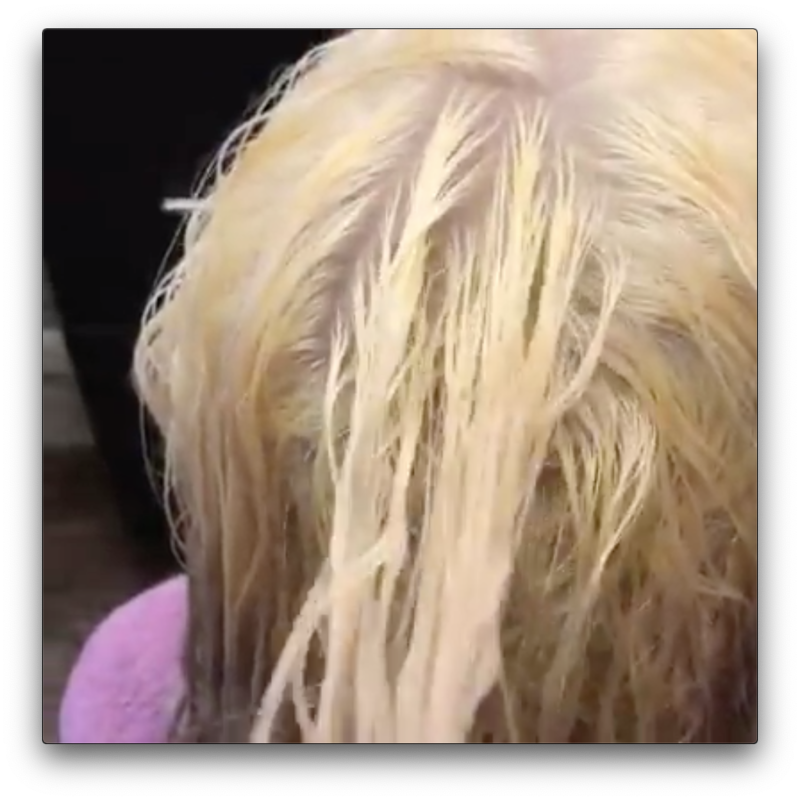 Before: Level 6 Regrowth and Yellow Blonde Lengths. It Can Become Like This! Purple Shampoo and Mask to finish. Q. How do you tone down level 7 orange hair? 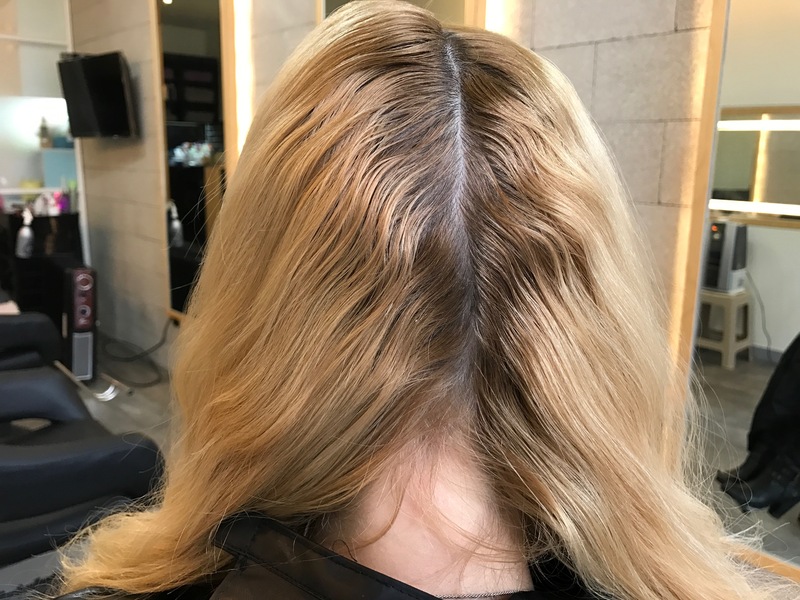 If the hair is level 7, as in the picture at the top of this page, you are not going to get a good result just applying toner. The best thing to do is to lift it some more, up to level 9/10, then tone with an Ugly Duckling toner. 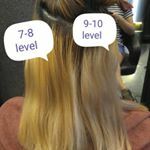 If the hair is in truly bad condition, or if it has been colored with box dye in the past, or for whatever reason if it is just not lifting beyond level 7. you can color it with a 7.1b ( blue based light ash blonde) with an inch of green used as an additive. This will help you get to a correct ash blonde result and counteract the yellowness of the level 7. Q. How do you tone down orange or yellow hair? Orange means it really has not been lifted enough. If you are not managing to lift with your bleach, you might like to consider changing brands. A good quality lightener (like Brilliant Blonde) will lift all the way to level 9/10 safely and effectively. Q. How do you get rid of brassy hair without toner? Lift with Brilliant Blonde all the way to level 10. Then use our purple shampoo and purple mask. It will give a good toning result. Note that in general we prefer to recommend these products as maintenance products rather than as toners. But they do contain a lot of purple pigments and they will do the job well if you don't have our regular toners handy. 1. Which products do I Need When Bleaching? 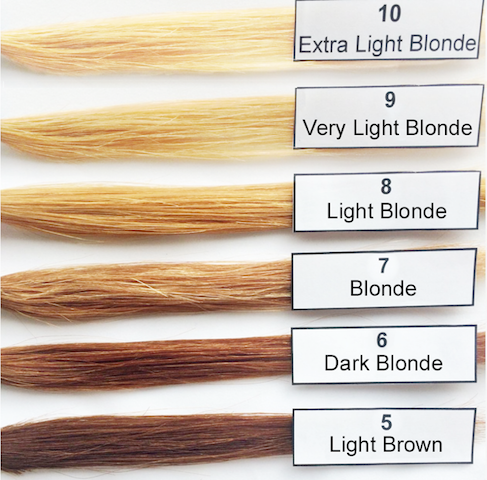 You need a salon quality lightener and a developer of different strengths for your bleaching mix. Otherwise you won't be able to lift safely and efficiently and your hair will come out brassy. For the bleaching we would recommend Brilliant Blonde lightener. It has been designed for dark bases and can lift up to 8 levels safely and effectively. You will need 20 or 30 Vol Developer. depending on the lift required. For 1-2 levels lift and for the root area, you will need 20 Vol. But for 3 levels lift and more you will need 30 Vol. Very often you may need to make separate mixes for the root area versus the rest or adjust processing time. You will also need coloring tools: a feather brush, a sectioning brush, a mixing bowl, & crocodile clips. Ugly Duckling sells a professional tool kit which contains these. You will also need gloves. 2. What Developer Should I Use with the Bleach? 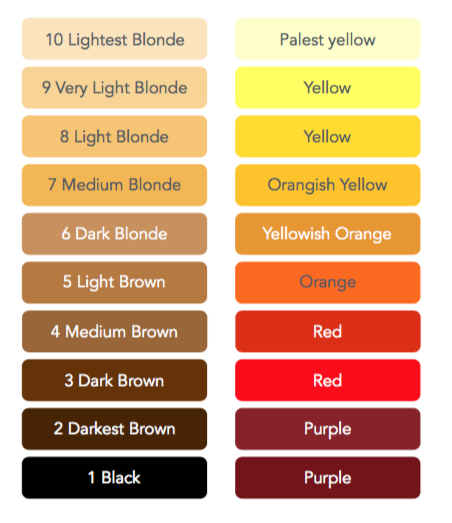 Consult the table "Hair Color Levels" below. Compare the current hair level with the target hair level and subtract. 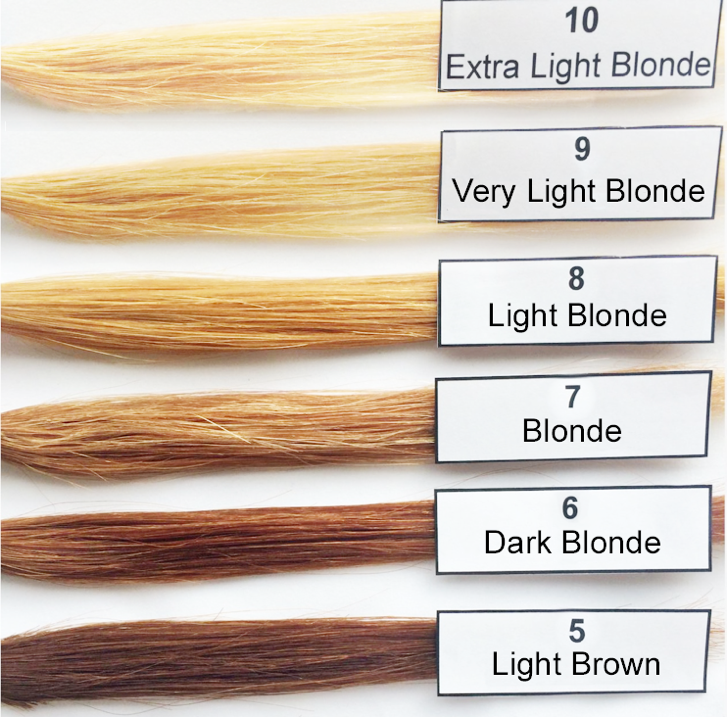 In general, if you are trying to take hair ash blonde, you will need to lighten to level 10. This means you will need to bleach the hair until it is a very very pale yellow. So if, for example, your hair is currently medium brown (level 4) and you want to go like the picture at the top of the page (level 10) you are going to need to lift by 6 levels. The more that you need to lift, the higher strength of developer you will need. In general, more than 3 levels of lift on the lengths: use 30 Vol developer. For the root area (regrowth applications): use 20 Vol Developer. If you are using a bleach like Brilliant Blonde, 40 Vol is not necessary however dark the hair. If the hair has not lifted enough using 30 Vol after 30 minutes of application, you can always rinse and re-apply provided the hair is in good condition. 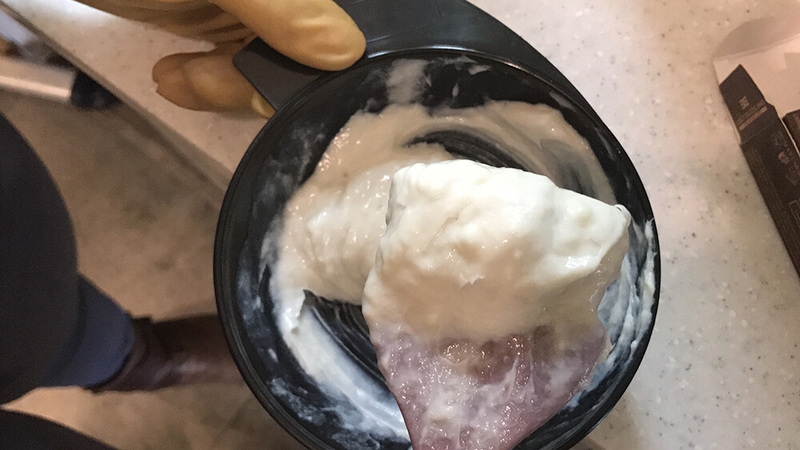 If you are lifting dark hair you will need to have 2 different developer strengths ready, and make 2 separate mixes for the root area versus the lengths. 3. What is the Correct Bleach to Developer Ratio? How do I mix the Bleach With the Developer? We generally recommend a mix of 1 part Bleach to 2 parts developer. This will give you a fairly runny mix which will be easy and quick to apply. Mix the bleach until it forms a smooth consistency (similar to gravy). Do this in a plastic mixing bowl. Add the developer to the powder bleach a little at a time, stirring as you do. Our recommended "fairly runny" mix will make it easier to cover all the hair evenly, thus avoiding patchy results. It will also allow you to work fast. This also means you have longer to work before the mixture turns dry. The only time you will need a thicker mixture which won't drip is when you are doing a balayage (free painting of highlights) or when you have a small area - for example a dark regrowth which you want to focus on. If a thicker mix is preferred, 1 part lightener to 1 part developer is good. Bleach Mixture, Not too Runny, Not Too Thick. 4. How Should I Apply the Bleach Mixture? Section the hair into 4 large sections with sectioning clips. Then unclip one section and create mini half-inch sections using your tail comb. 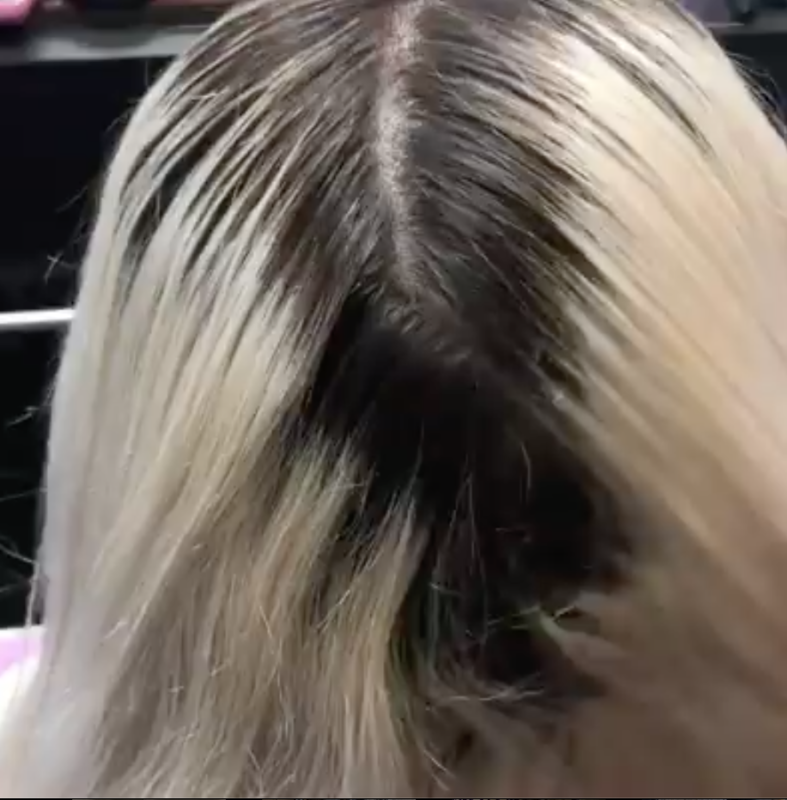 Start applying bleach in the back of the head where the hair is usually darkest and thickest, working your way round to the front sections, in half-inch sections. Make sure that you saturate the hair properly with the product mixture. You need to literally smother the hair with bleach. Work fast so that that you can give the whole head an equal amount of processing time. Also, you don’t want the mixture to dry out before it is applied. Always keep at least half an inch away from the scalp. If you are looking to lift all the way from the root, return to the last half inch (nearest to the root) after having applied everywhere else. The part nearest the scalp will process the fastest because it is getting heat from the scalp. Try and avoid actually touching the scalp unless your bleach mix is a fairly mild one. Also, if you have been using 30 Vol developer for the lengths, it is a good idea to make a fresh mix, with 20 Vol this time for the root area. This way you can have better control and avoid over lifting the root area. Section the hair, then start applying the bleach from the back. 5. How Long should I leave the Bleach Mixture in the Hair? How Long DOes it Take to Bleach Hair? There is no fixed development time for bleach, you need to keep watching and rinse when the hair has been sufficiently lifted. The development time can vary from 15 minutes to 30 minutes, depending on the starting hair color level, texture, and thickness. You need to check that the hair is lifting every 10 minutes. When you do that, test also by pulling one strand of hair to be sure that the hair is still elastic and strong and taking well to bleach. Add in more mixture if you can see that there are parts which are lifting more slowly or parts where the bleach mixture is drying out. If you are running out of product at this stage, don't hesitate to make a fresh mix. It will help you lift quickly. Wash off when the hair reaches the desired level. Above all, make sure you do not rinse too early - this is the number one mistake that stylists make! After 30 minutes, rinse off whatever the level. It will be dry anyway, and will have stopped working. (Bleach stops processing when it turns dry). If you have not attained level 10, and provided the hair is still in good condition (ie it's still elastic and strong) you can do a second application. Asian hair, Hispanic hair, other dark hair may require a second bleach application to take it to level 10. 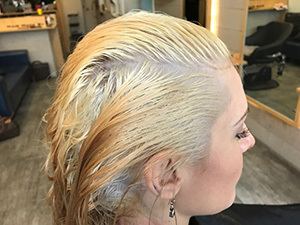 Hair that has been box dyed dark will also require a second application. You need to get rid of all the orange pigments and also most of the yellow pigments before you rinse. When you get to your target level, rinse using an acidic shampoo. This will close the hair cuticle after the bleaching process. The chart below shows what the hair will look like as you bleach the hair. If you are trying to get an ash blonde result, you must try to take it as close to level 10 as possible. 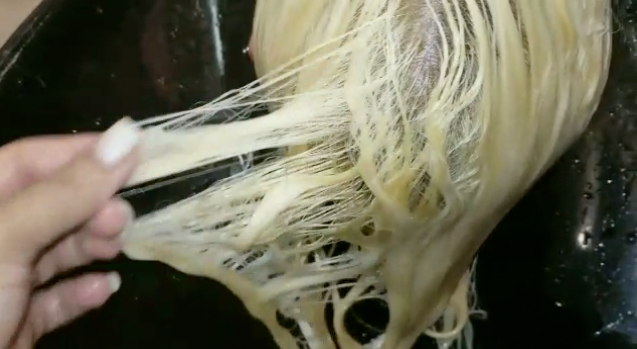 Very yellow hair means you have not bleached enough. 6. How do I Prevent "Hot Roots" when I bleach? Only use 20 Vol with bleach at the root area because it will process fast there. In general, it is better to apply bleach first on the lengths and then return to the regrowth area in the last 10 minutes only. Rinse before the roots get "hot". Remember that even when doing the root area you don't need to apply the bleach mixture directly right onto the scalp. If you stop a quarter of an inch away, the mixture will travel up and process with the heat from the scalp. 7. 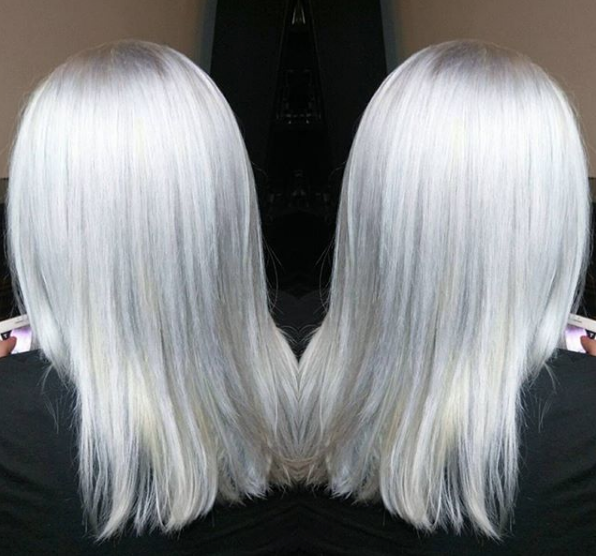 What do I do if my Client's Ends are one Color and Her Mid-Lengths are Another Color ? If you have inconsistent color on your lengths, for example a chunk which has been colored darker and another chunk which has been lightened in the past, plus the natural regrowth hair at the root area, you will need to have a clear bleaching strategy. You will need to figure out which areas need the most lifting and apply bleach first on those areas. Remember: the aim is to get the entire head of hair up to a consistent pale yellow level. You may need to divide up your client's hair mentally into 3 different sections and apply bleach at different times to each section. 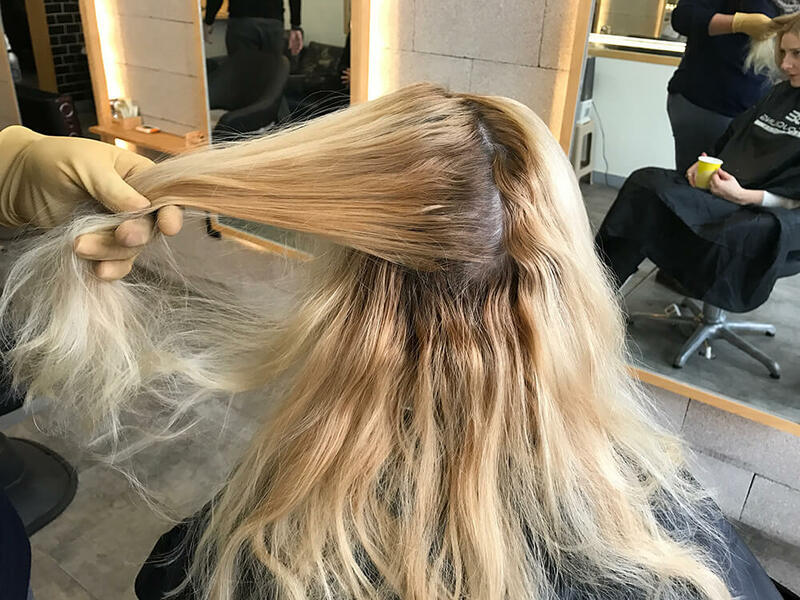 You may also need to keep watching as your customer's hair develops and then add more bleach onto sections which are not lifting fast enough. In this way you can bring all your hair to one consistent color level, which is absolutely what you need to do to achieve an attractive color result. 8. How do I Tone the Hair After Bleaching? Coloring or toning after bleaching is necessary in order to achieve a vivid, 3 dimensional color. Ugly Duckling toners are very effective and we would recommend these if you are trying to achieve ultra white blonde results such as silver blonde or pearl blonde. 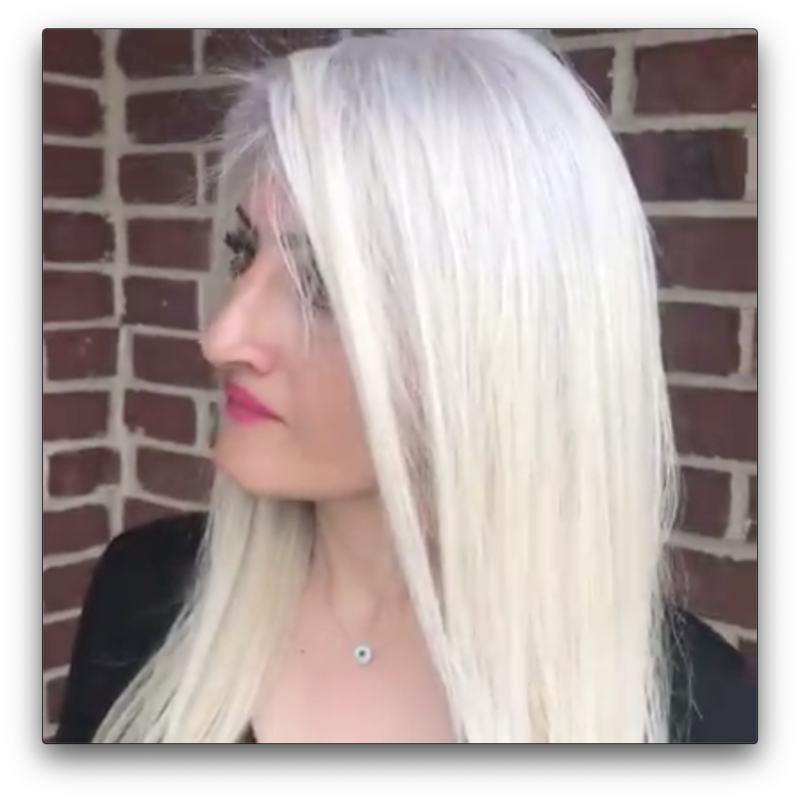 Use Intense Pearl Blonde 100V or Intense Silver Blonde 100B if your are looking for ultra white results and you still need to lift a little more. Use Pearl Blonde Toner 10V or Silver Blonde Toner 10B if you are have already achieved a true level 10 and for refresh toning applications. See digital shade charts below of Ugly Duckling Toners. 9. How Should I Rinse The Hair After Bleaching and Toning? Then use Ugly Duckling Purple Shampoo and Mask for additional toning. Purple Shampoo and Mask can also be used as a maintenance treatment to keep your color white and ashy. Ugly Duckling's Purple Shampoo and Mask contain very intense pigments which help fight yellow. They are also low pH formula and wil help close the cuticle after bleaching and restore it to a healthy condition. 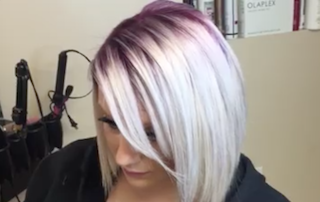 Learn More About Purple Shampoo and Mask Here. (1) This model had dark (level 5) virgin hair. It was also very very long - about a yard! (2) We needed to make separate mixes with different developer strengths for different areas. (3) We also needed to work very fast to give the whole head equal processing time. (4) This hair was lifted and toned in 1 session. Watch the video! (1) This model had a very dark regrowth but extremely white lengths. (2) Here the challenge was to take care of the regrowth without overlapping on the lengths and compromising hair quality. (3) In such cases, avoid overloading the overlap area with product - wipe off with a towel during processing time as you can see in the video. (1) Our model had fairly light (Caucasian/European) hair. (2) We lifted the regrowth with Brilliant Blonde. (3) We judged our model's hair to be fair enough to tone only with Purple Shampoo - it worked! "The best bleach I have used so far. It only takes 15 minutes at the most and gets the blonde to that perfect pale yellow color." - Facebook Tutorial. 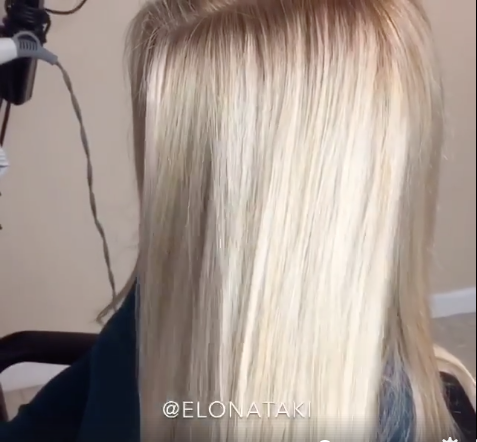 Hair Toned with Intense Pearl Blonde Toner 100V. Looking for a Toner That Will Take Out Yellowness and Brassiness? Here's What You Need to Do! First you need to lift any part of the hair that is too dark to a level 9 before you do any toning. In both the cases above the client had a really dark base that needed lifting. Use Brilliant Blonde Lightener with 20 or 30 Vol. Developer. 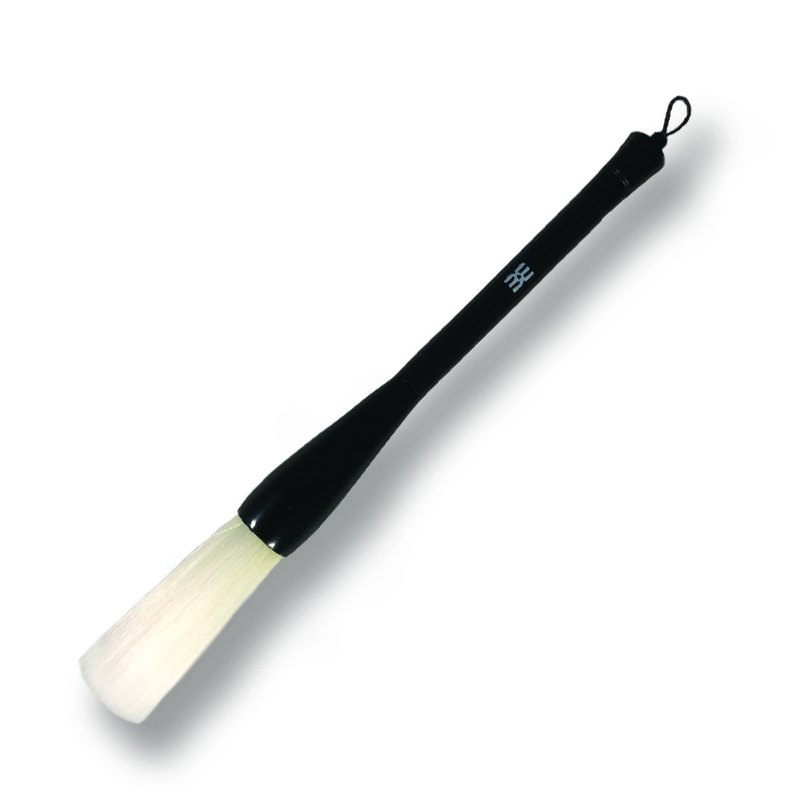 Brilliant Blonde has been designed to work on dark bases and lifts safely and effectively. Good consistent pre-lightening is really essential for good toning! 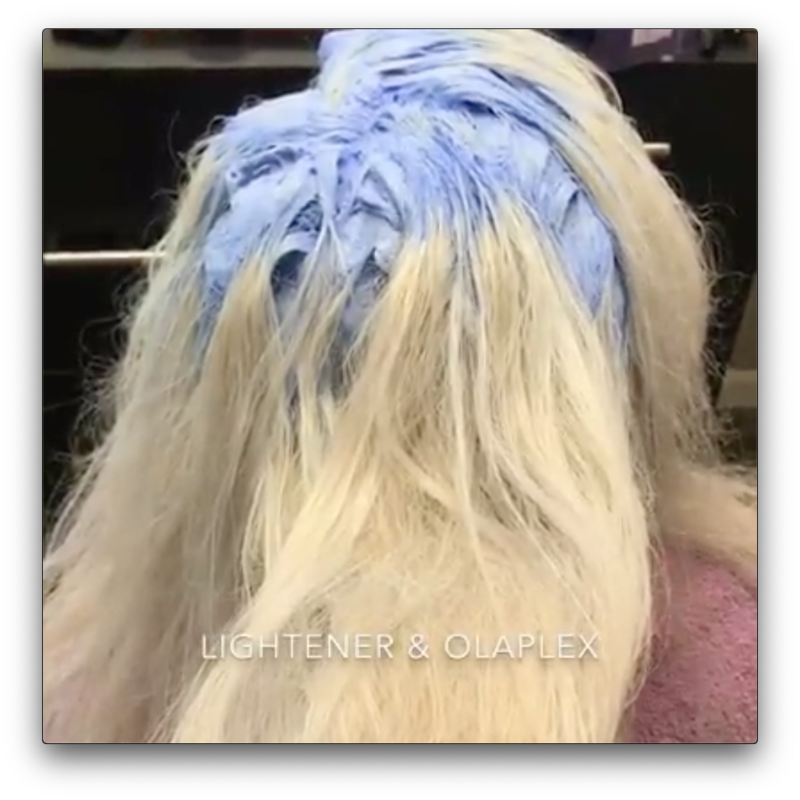 Make a mix of 1 part lightener to 2 parts developer and really saturate the dark regrowth area or the whole head depending on what needs lifting. Start applying at the back in case of full head applications. In the case of regrowth applications apply on the dark regrowth first. Then stretch to other areas if you feel they also need further lifting. A common mistake is to not lift sufficiently - don't do this or you won't get a really nice result! Now you are ready to tone. Choose your Ugly Duckling toner from the Ugly Duckling toners below. Ugly Duckling toners are very very fast acting, and typically neutralize in around 10 minutes. So you do need to be alert and watch while they are on processing and be prepared to rinse when done. Only use 10 Vol developer if you have really lifted well and you are confident that there is minimal yellow left. Otherwise, use with 20 Vol developer for best results. You will get better release of yellow pigments and better toning that way. Apply on towel dried hair. It can be still wet. Just make sure there is no excess moisture. Mix 1 part of your chosen Ugly Duckling toner with 2 parts developer. Section the hair starting from the back, using fine sections. Work fast because the toner works fast and you want to give your whole head an even processing time. Leave out the last inch nearest the roots when you apply, and return to this section at the end. Hair processes faster on the root area due to the heat of the scalp. As you apply, you will see the hair turn grey with a purple or grey or blue hue. This is normal, it shows that the toner is doing its job of neutralizing yellow and brassiness. Normally 10-15 minutes is enough. Once again, remember to watch the roots in particular carefully - do not over-process there. Ugly Duckling has 2 types of toners: Intense Toners and No-lift toners. If this is a first time toning and your hair is pretty brassy, we recommend the Intense Toners as they contain extra "booster" which releases any remaining yellow from your brassy hair. Also, if you have low lights that you wish to keep, use the No-Lift Toners. These colors are better processed for the full 30 minutes, you will get better color results that way. Rinse hair with Purple Shampoo, massaging thoroughly for 5 minutes as you do. Leave the mask in the hair for 10 minutes. 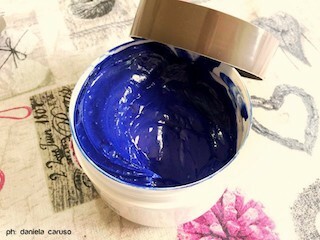 Ugly Duckling's Purple Shampoo and Mask contain very intense pigments. These will neutralize any remaining yellow and take your hair to ultra white blonde. They are also low pH and will help to close the hair cuticle after the lightening and toning process. Only use Purple Shampoo and Mask after toners, not after regular colors. Q. Can I Use Toner Without Developer? All Ugly Duckling toners work best with developer. The reason is that they have been formulated for extra vibrancy and for that we need to penetrate into the hair cuticle, in order to release any remaining yellow pigments and then recolor the hair blonde from inside. That is the best way to get a good hair toning result which will last. Q. Can I Use Toner with a No-Lift Developer? A. We would recommend that you use 10 Vol even if you don't want to lift. 10 Vol developer is a minimum recommended strength to open the hair cuticle. We don't recommend that you use anything weaker. If you have low lights that you don't want to get lifted, use our no-lift toners with 10 Vol developer for a short processing time and you should be OK.
Q. Can't I just use any toners? Aren't they all the same? A. There are a lot of good products out there, but Ugly Duckling Toners Are Rather Unique. Our toners are very very fast acting and contain a lot of pigments. They have been designed to work really fast, on wet hair if necessary. The intense toners contain an extra "booster: which will get rid of any remaining yellow. The no-lift toners are very very pigmented indeed. The blue based ash colors and grey all have very unique color results. Q. Do you apply toners to wet or dry hair? If you are pre-bleaching, then rinse and towel dry after bleaching to get rid of excess moisture. Then go ahead and apply your toner and developer mix. If you are not pre-bleaching, we would suggest you apply on dry, unwashed hair. Q. How often do you need to apply toner? Be careful at this stage to lift the regrowth properly to create a consistent color level. The regrowth on the other hand may require lifting. Q. Can't I just use your Purple Shampoo and Mask to tone? We do have an excellent purple shampoo and mask of our own. It contains intense purple pigments which do neutralize yellow in blonde hair. However, These products are best used as finishing/maintaining products after the main toning is done using a proper toner and developer. Q. 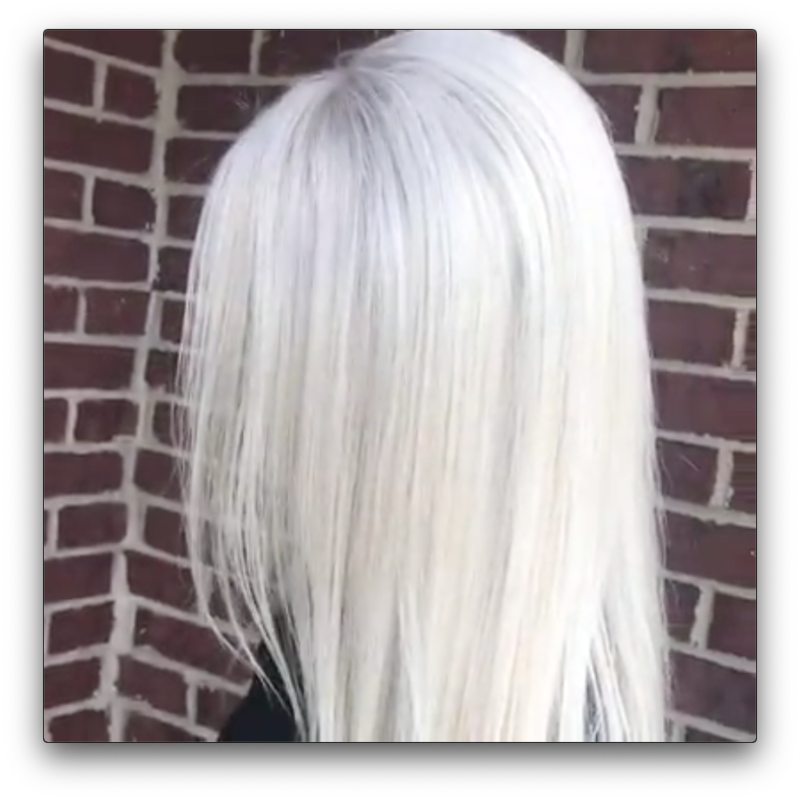 Can I mix a toner with a regular color? A. Yes you can do that. All Ugly Duckling colors are inter-mixable. 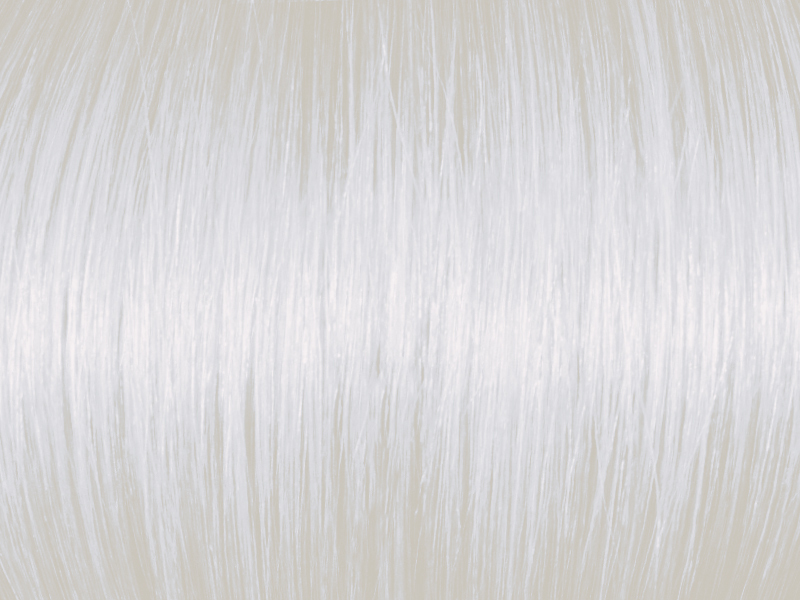 One common mix that stylists use is to mix the silver blonde toner with the pearl blonde toner. Another is to mix any of the colors above with Clear to bump up the color by one level. Q. Do hair toners damage the hair? A. Not if you use them correctly. Women who have long hair should pay attention to the fact that their lengths are going to get repeated toning applications. We always suggest a differential approach. Lift up and deal with the dark areas (eg the regrowth area) that needs heavy lifting. Do this really well once. But give only a very few minutes of toning to the lengths or areas that need less toning. You will avoid damaging the hair in this way. Grey Hair is not the Easiest Color to Create in Your Salon. In this blog post, we show you the 8 things you need to know to achieve these colors in your salon! 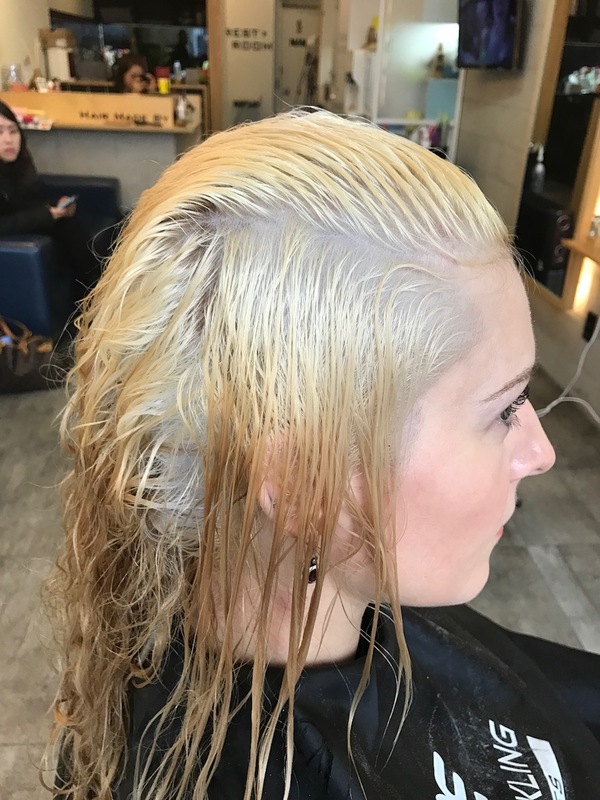 Pre-lightening with Brilliant Blonde, and Pearl Blonde Toner. Grey isn't the easiest color to create or to maintain, but it's really pretty and fun. As a hairdresser, it will set you apart if you can successfully create grey looks for your clients. Read below for details on how exactly to create these looks, how to apply and process grey hair color as well as how to maintain it. Also fun facts: Did you know that the last time grey was in was in the late 18th Century? Check out the portrait of Marie Antoinette at the bottom of this blog to see how it looked! 1. How Do I Create These Grey Looks? For grey, you need to pre-lighten hair very consistently all the way to level 10. Mix with 20 Vol in the ratio of 1 part color to 1 part developer and apply. Note that the grey colors are not toners - they do need to be processed/developed for the full 30 minutes. Apply plenty of product so that the hair is correctly saturated. After applying with a dye brush, rub more product in using fingers with gloves. Develop them a full 30 minutes. Add 10 minutes extra for greater vividness. 3. How Do I Maintain My Grey Looks? Try and wash it not too often...use a dry shampoo for example. Ugly Duckling grey hair colors do fade "true"...in the sense that when the colors start to fade, the color will still look pretty. 4. 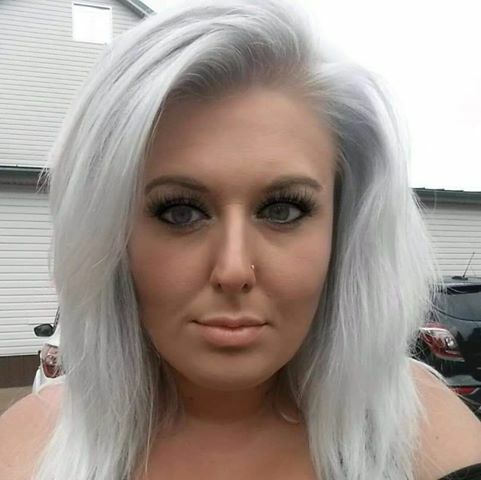 How About Darker Grey Hair Colors? Use one of the 2 grey additives below. The way to use these additives is to squeeze in just a little with your regular color. The result will be to turn whatever color you are applying more grey, more ashy. These grey additives will make the hair color more ashy and neutralize brassiness. They are best used on dark hair to brown hair (level 1 to level 5). When mixing in, use about one inch of the Additive for 1 tube of a regular color. 5. How About Mixing Ugly Duckling Grey Hair Colors? You absolutely can do that. Check out these pictures by Paula Sturdevant, mixing Ugly Duckling Metallic Grey and Silver Grey. 6. Can Men Go Grey? They certainly can..check out this look below. Hair by Ashley Betancourt. 7. Can Old People Go Grey? What a question! These days hairdressers and their clients are having great fun...coloring grey hair...grey. It looks awesome! The last time grey was in fashion was in.....the late 18th Century! Here is a gorgeous portrait of Marie Antoinette, future Queen of France. It was painted by Joseph Ducreux so that her future husband (King Louis XVI) could see what she looked like. The grey hair worked! He married her after after seeing her in this painting. Marie Antoinette with Grey Hair. Painting by Joseph Ducreux. What is the Right Mix Ratio for Ugly Duckling Color? The recommended mix ratio for Ugly Duckling Color is 1 part color to 1 part developer for most of our colors. 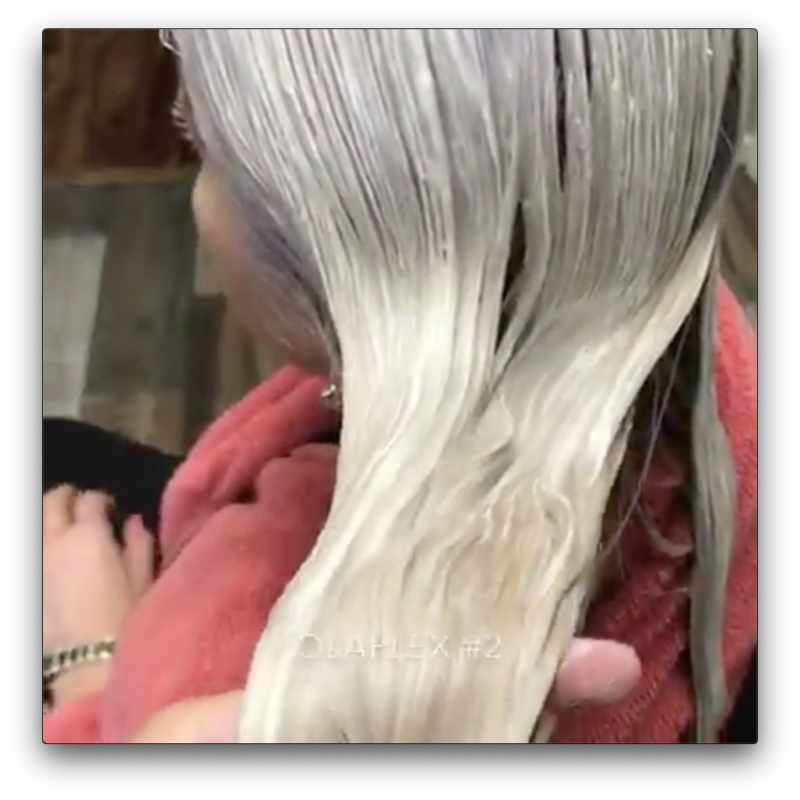 The recommended mix ratio for Ugly Duckling Toners (Intense Pearl Blonde, Intense Silver Blonde, Pearl Blonde Toner, Silver Blonde Toner) is 1 part color to 2 parts developer. The recommended mix For Ugly Ducking High Lift Colors (anything beginning with the number 100) is also 1 part color to 2 parts developer. The recommended mix for Ugly Duckling Bleach (Brilliant Blonde), is 1 part Brilliant Blonde to 2 parts color. Use weighing scales. Set the scale to zero with an empty coloring bowl on it. Then add in your color into the bowl and weigh again, so you know exactly how much you have out in. Do the same when you add in the developer. Later, as you get more experience, you can try out different mixes. Expert colorists do indeed vary the mix according to their personal preferences and according to the situation. What Happens If I Put Too Much Developer In The Dye? Your mix will be more wet, more runny. If it is way too runny, you may end up lightening the hair, but not depositing enough color. It will end up thinner, flatter and last less long. Are There Any Cases Where it is a Good Idea to Deliberately Put in Extra Developer? Putting in more developer will give you a runnier solution. This is helpful when you want to saturate the hair (cover the hair with product) really really well and evenly. You will get a more even color result and you will tend to avoid patches.This is particularly important in full head applications. A runnier solution will allow you to work fast. This may be an important factor when your client's hair is long and you want to give all the hair the same processing time roots to ends. Even when going with a runnier solution, aim at a maximum mix of 1:1.5 for Ugly Duckling Color and 1:2.5 mix for Ugly Duckling Lighteners (Brilliant Blonde) and toners. Any more and you may be compromising color results. What Happens If I Put Too Little Developer in The Dye? Your mix will be too dry, and you won't be able to saturate the hair properly with product and you may also get uneven and patchy color results. You will not be lifting out enough of the hair's natural melanin. This will mean you may end up with darker hair than you wished for. Are There Any Cases Where it is A Good Idea to Deliberately Put in Too Little Developer? 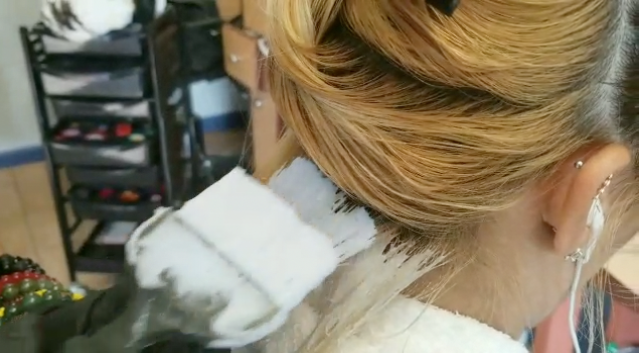 It will help if you want to do a balayage technique (free painting with dye brush) and you want to position the color accurately and not have any product dripping off the brush. Balayage artists tend to work with thicker color mixes. This helps avoid putting on too much product in one go and thus avoid visible lines of demarcation. It will also help if you are looking to do grey hair coverage and your client has difficult to cover grey hair. You will get a darker color result, but you will be able to improve grey hair coverage. Even when going for a less runny solution, aim at a minimum mix of 1:0.8 for Ugly Duckling Color and 1:1.5 mix for Ugly Duckling Lightener (Brilliant Blonde) and toners. "I was looking for a brilliant silver that didnt have crappy blue undertones. I decided to try Ugly Duckling after watching several videos of it being used with Olaplex. I absolutely loved my results. No crappy blue I had to wait weeks to wash out so I was left with my silver, it was just a gorgeous silver right away and 4 months later it still has the pretty silver going. My hair looked and felt shiny and soft. I love the products and stock up so I don't chance running out when I need to touch up!" - Facebook Review. It's easy getting your hair to Ultra White Blonde when you're using Ugly Duckling Products! 7 Steps is all it takes. 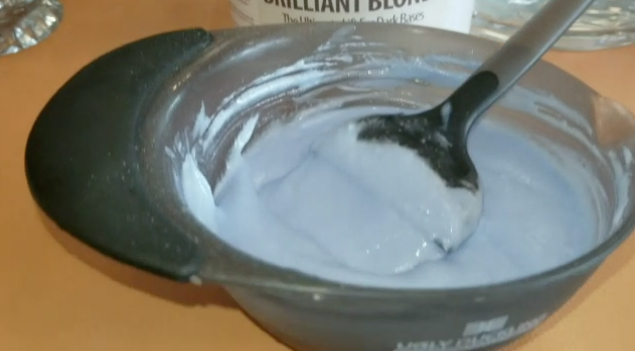 7 Steps: Get Your Hair To Ultra White Blonde now! Mix 1 part Brilliant Blonde 8 Level Lightener with 2 parts Developer. Use 20 Vol for 1-2 levels lift. Use 30 Vol for 3 levels lift and more. Try and saturate the hair properly with the mix. Keep checking to make sure the mixture is moist and is lifting. For Ultra White Blonde, make sure you get hair to level 10. Use Ugly Duckling Purple Shampoo and/or Mask to Finish & Maintain. Brilliant Blonde - Lifts 8 Levels, Safely & Effectively. Picture Shows What Level 10 Looks Like. If you are Looking for an Ultra White Blonde Result, Aim for Minimal Yellow! 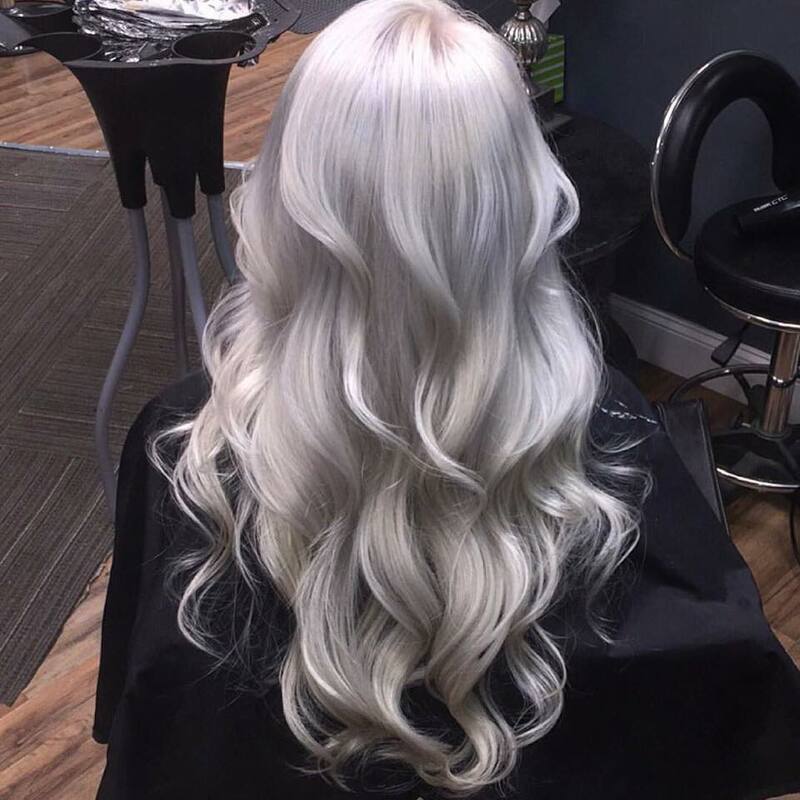 "Highly impressed with their pearl blonde toner and bleach !! I had a great turn out!" Are you looking to achieve the perfect Ash Blonde Hair Color? Are you finding it hard to get the right result? Is your final result coming in too yellow, too brassy? Are you finding that your ash blonde result is not white enough? Relax, these are very very common issues in a hair salon. We can help you achieve perfection whatever the hair color type of your client. 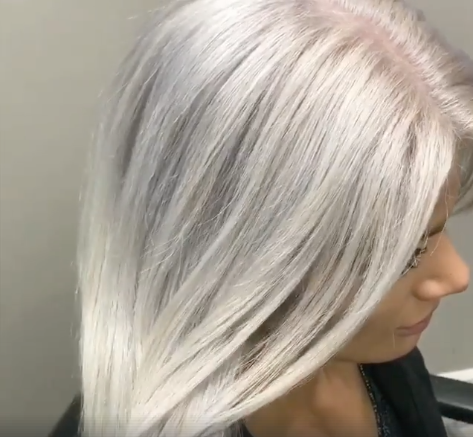 In this tutorial, we will show you how you can achieve this result even with a very dark regrowth. As you can see in the picture above, our model had a very dark regrowth area. We needed to get the whole hair up to a consistent level 9/10. In this case you need to apply lightener. We recommend Brilliant Blonde. It has been developed for dark bases, and lifts safely and effectively. For hair above level 6 and for the root area, use 20 Vol developer. For dark hair 5 and below on the lengths, use 30 Vol developer. Make a mix of 1 part lightener to 2 parts developer and apply on all dark areas. Aim to really saturate the hair with product, as you can see in the picture below, Otherwise it won't work well. Keep checking the hair while the mix is developing and rinse only when you have got it up to a level 10. In this example, as the rest of the hair was already very light blonde, we did not overlap the areas. We recommend you use Ugly Duckling Toners. They are very fast acting and have very strong pigments for quick neutralization of brassy or yellow hair. If it is a first time for you toning with Ugly Duckling toners, then use either intense pearl blonde toner or intense silver blonde toner. These contain an extra booster which help get rid of any remaining yellowness or brassiness. If it is second time toning application with Ugly Duckling, use the no-lift pearl blonde toner or no-lift silver blonde toner. Mix your toner with a 10 or 20 Vol. developer. Keep the mix at 1 part toner to 2 parts developer. This will give you a runny mix, and help you saturate well and evenly. Apply on the lengths first, then the root area (the root area processes faster). Work fast because the toner works fast and you must try and give all your hair the same amount of development time. As you apply, you will see the product start to change color and turn greyish blue. These pigments are there to fight the yellow and get you to a true ash color. Watch carefully and rinse when the hair has turned the color you want. Normally, around 10 -15 minutes of toning is enough. Rinse when the correct level is achieved. Ugly Duckling toner during processing. You can see how the pigments are coloring the hair. After rinsing, apply Purple Shampoo and Mask. These products will add in purple pigments which will help kill any remaining yellow. These products are also low pH and will help close the cuticles as well as kill any remaining yellow. You need to use a lot of product and rub in really well to allow an efficient transfer of purple pigments into the hair. You can let the purple shampoo sit for around 5 minutes, then rinse. For the purple mask, you can leave it in for around 10 minutes, preferably under a plastic cap, with gentle heat. 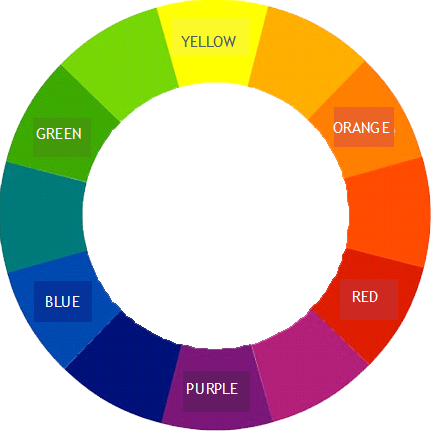 This helps the color transfer of violet pigments which kill yellow. 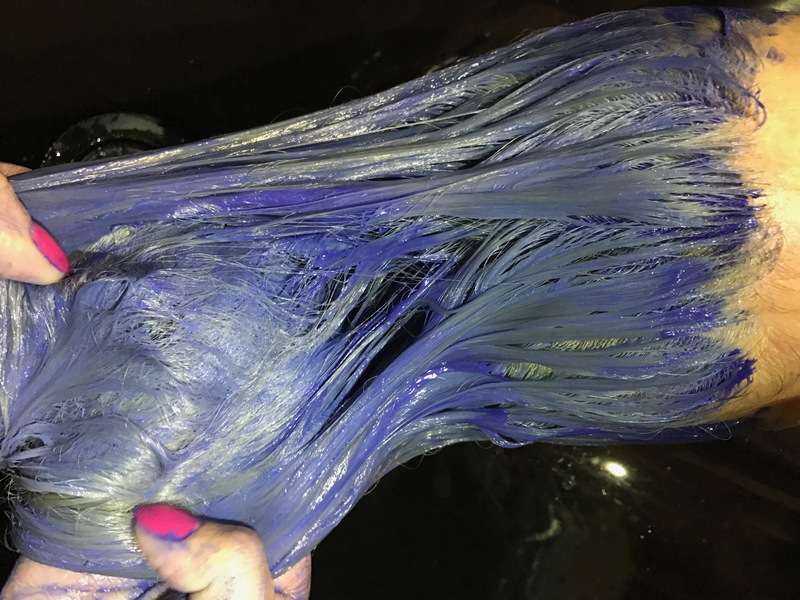 Brilliant Blonde purple shampoo and mask can both be used as a maintenance product, and not just immediately after bleaching and coloring. 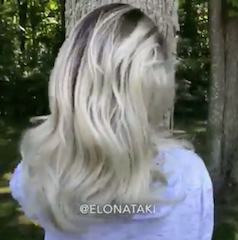 Hair Color by Elona Taki. Looking For Ash Blonde Hair? Watch This Video! 1. Are You Looking To Lift or Lighten Hair Without Using Bleach? 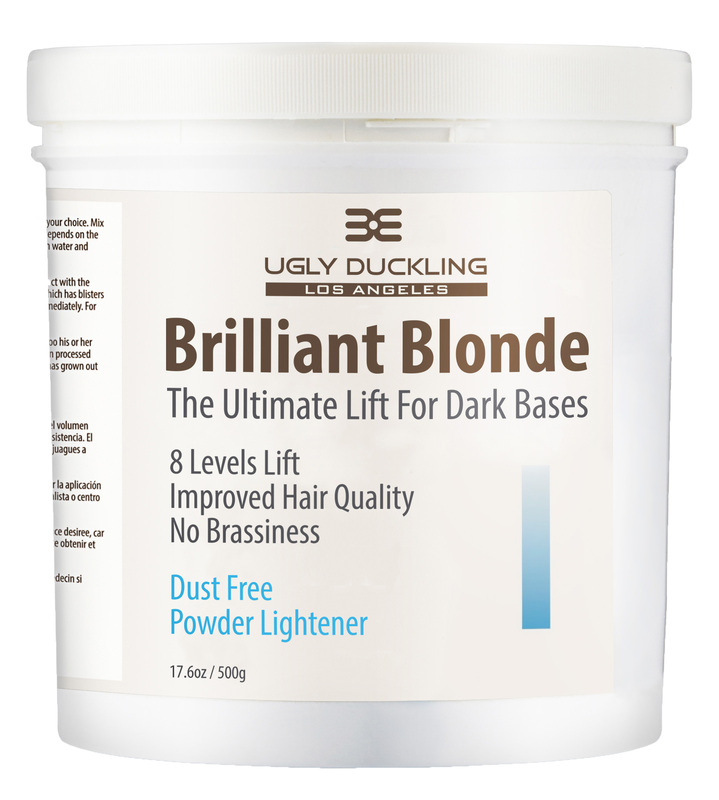 If you are looking to get lift and you want to avoid using bleach, it is possible to do so using Ugly Duckling’s High Lift Deep Ash Blonde. High Lift Deep Ash Blonde gives up to 5 levels of lift without using bleach. This product also contains an extra large dose of ash pigments to neutralize the hair as it lifts. It helps the final hair result from getting too warm or ashy. 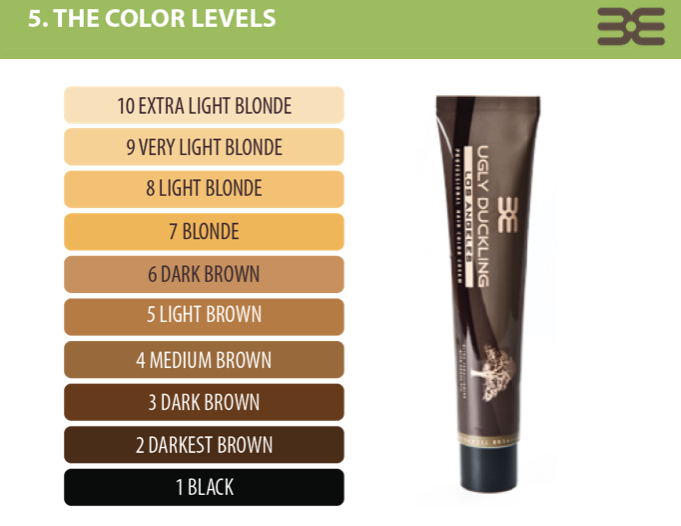 Ugly Duckling also has some other high lift colors to help you get other blonde or ash blonde hair color results. 2. Which High Lift Color Should I use? 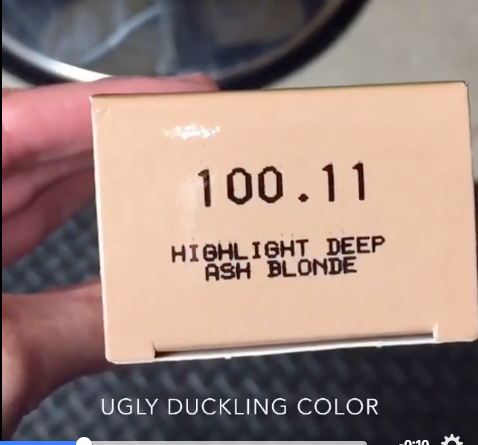 All Ugly Duckling High Lift Colors begin with a 100. For a regular blonde look, use High Lift Blonde 100. For an ashy blonde look, use High Lift Ash Blonde 100.10 or High Lift Deep Ash Blonde 100.11. 3. How Do I Apply High Lift Hair Color? The mix ratios for high lift colors is 1 part color to 2 parts developer. Use 30 Vol developer if you are applying to get up to 5 levels of lift. If you have a darker or regrowth area that needs a lot of lift, as in the picture below, you need to deal with that area first. Apply the mix first on this area. Wait 20 minutes or until the hair has lifted all the way up to the lengths. Now make a fresh mix, with 20 Vol this time, and apply to the rest of the hair. Before: Regrowth of Level 6, Mid-Lengths Blonde But Washed Out. Mix 100.11 with 30 Vol. Apply to Root Area First to Lift It. Apply To Hair Ends in the Final 20 Minutes. The Final result. Consistent Deep Ash Blonde Result. 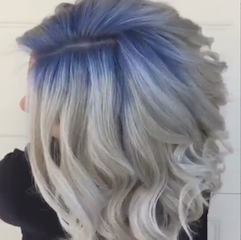 Looking to Get This Color Result? If you would like to get the product used for your salon or your hair coloring, please go to High Lift Deep Ash Blonde 100.11. Color Tutorial by Elona Taki. High Lift Deep Ash Blonde can also be used as a Balayage product to lift totally dark hair. 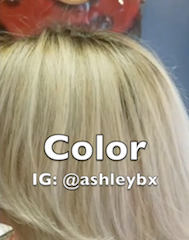 How to Use the Color Wheel When Coloring Hair| Color Correction | Using Color to Cancel Out Color | FAQ, Recipes & 3 Video Tutorials! What Happens If You Put Too Much Developer Into Your Dye? Getting To Ultra White Blonde is Easy! How To Get Ash Blonde Hair - Get Rid of Your Brassy Hair Once And For All! 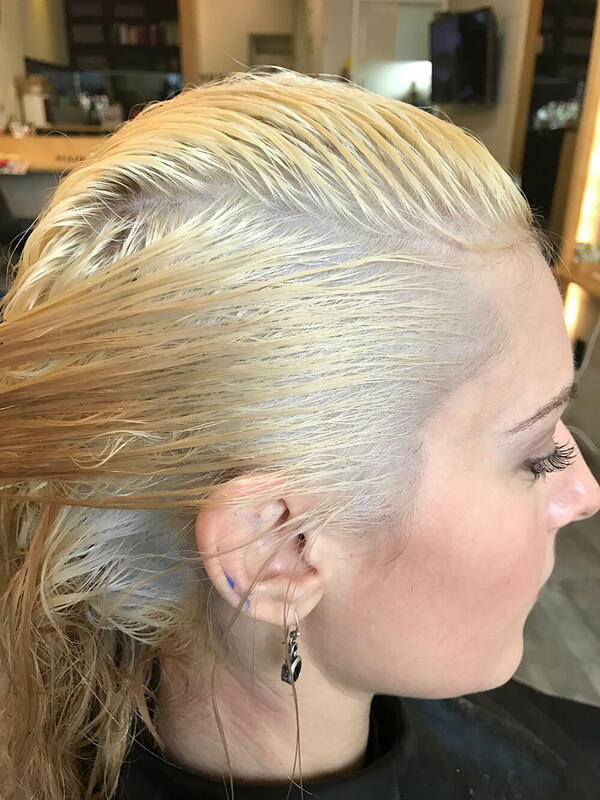 Getting to Ash Blonde is Easy | Follow our Step-by-Step Techniques and Get Your Hair To A True White Ash Blonde No Matter How Brassy it is Today! 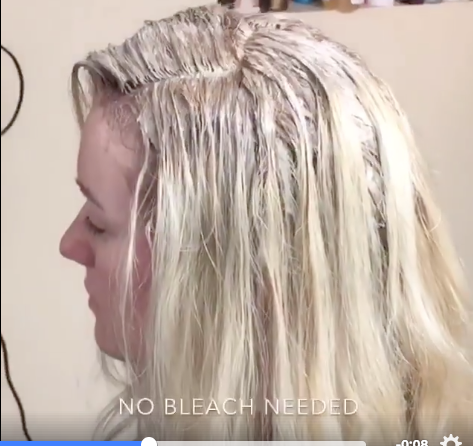 The No Bleach Hair Dye - Lift or Lighten 5 Levels Without Using Bleach | The New Blonding Product that American Stylists are Using in their Salon.